Colored pencils blending in with some wax art bars giving a landscap with man made structures shooting out over the land. You can see the train sturctures soming out from below supporitng the tracks that will one day finish the platform for the 1 train to Riverdale. 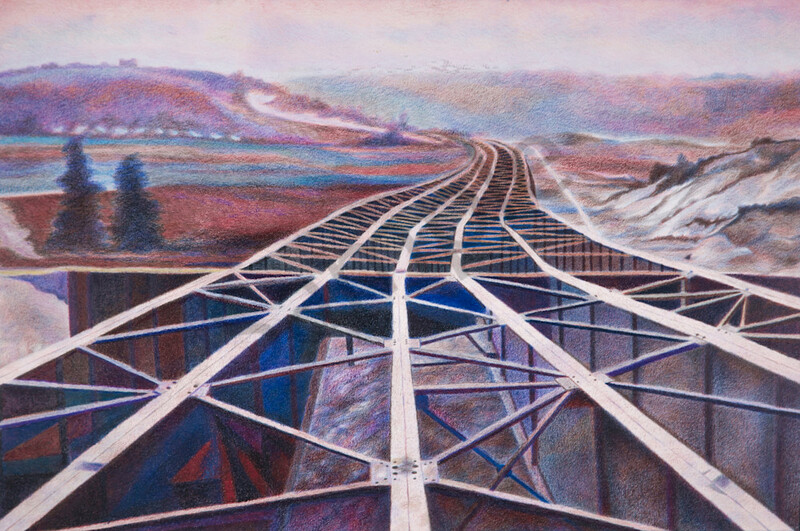 I used darker earth tones and gray, blues with purples to create a quiet but dramatic effect of the tracks taking over the landscape and going into eternity.